NJCJI Weighs in On Class Action Case Korrow v. Aaron’s, Inc. The class action device is intended to provide benefits to all participants in litigation by creating efficiencies. It benefits plaintiffs by affording them a means to litigate in a single action their small but meritorious claims presenting related factual and legal issues. It affords defendants a means to ensure that they do not face inconsistent obligations and costs of defending against countless substantially identical lawsuits. And it affords the courts the efficiency of avoiding a deluge of duplicative litigation. NJCJI has filed an amicus curiae brief in a case that would upset the existing class action system by allowing plaintiffs who suffered no actual injury to bring a class action suit against businesses, without allowing the business to bring counterclaims against members of the class. The case is Korrow v. Aaron’s, Inc., and NJCJI’s brief was filed in support of defendant Aaron’s motion to decertify the class of plaintiffs bringing suit against it. The named plaintiff in the case entered into a rent-to-own contract with Aaron’s for a bedroom set in July 2009. 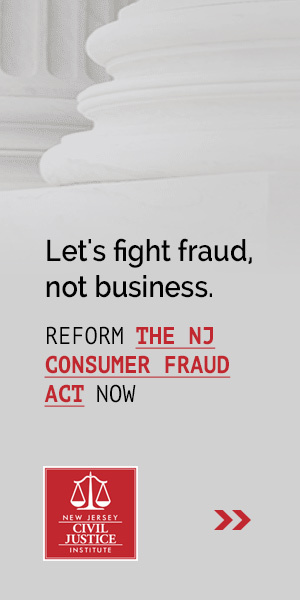 In October 2010, plaintiff filed a class action lawsuit alleging that the rent-to-own contract she (and others in the class) signed included usurious terms, omitted necessary disclosures, and imposed extraneous fees in violation of the New Jersey Retail Installment Sales Act (RISA), the New Jersey Consumer Fraud Act (CFA), and the New Jersey Truth-in-Consumer Contract, Warranty, and Notice Act (TCCWNA). To be clear, the plaintiff is not alleging that she and other consumers were actually harmed by the defendant’s actions, only that provisions of the defendant’s contract violated public policy. Aaron’s has appealed the court’s decision to certify the class, and NJCJI’s brief is in support of that motion. If the court agrees with Aaron’s motion and our brief and decertifies the class, each of the plaintiffs would have to bring their claim against Aaron’s individually. this matter is a poor candidate for class certification because it risks exposing defendants to massive liability for technical statutory damages claims even where class members with no out-of-pocket losses owe large, undisputed debts to the defendant. In the present case, thousands of class members suffered at best only theoretical losses and yet would demand relief in the form of civil penalties. The defendant, by contrast, has real losses arising from the exact same transactions as a result of substantial book account claims. To resolve the tension between the two sets of claims, the plaintiff argues that only the class’s penalty claims should be litigated in a class trial, with the defendant relegated to thousands of small claims court proceedings in state court to pursue its remedy. This is manifestly unfair and unjust. It is also inefficient because the separation of the class claims from defendant’s counterclaims encourages parallel litigation on the same issues across multiple forums. This case is important in and of itself, but it is also emblematic of a broader issue. Like RISA, many of the consumer protection bills working their way through the legislature do not themselves contain a private right of action. However, as this case demonstrates, plaintiffs’ attorneys are having some success aggregating technical violation claims and bootstrapping them on to the CFA and the TCCWNA in order to cash in on the mandatory fines and attorney fee awards those laws allow. NJCJI is committed to exposing these cases and educating lawmakers and the judiciary on their negative impact. NJCJI’s brief was drafted by Gavin J. Rooney and Joseph A. Fischetti of Lowenstein Sandler. Click here to read the full brief.